Tomorrow is Halloween. To celebrate I’ve come up with five macOS and five iOS apps to celebrate the scary day. Color by Numbers — Halloween is a free, interactive coloring book for children. The game teaches them to recognize numbers and solve simply math examples. The coloring pages depict the main symbols of Halloween. Halloween Fonts is a free collection of 45 commercial use holiday fonts. They’re designed for use in any Halloween-inspired project. All the fonts are royalty free and in the OpenType font format. 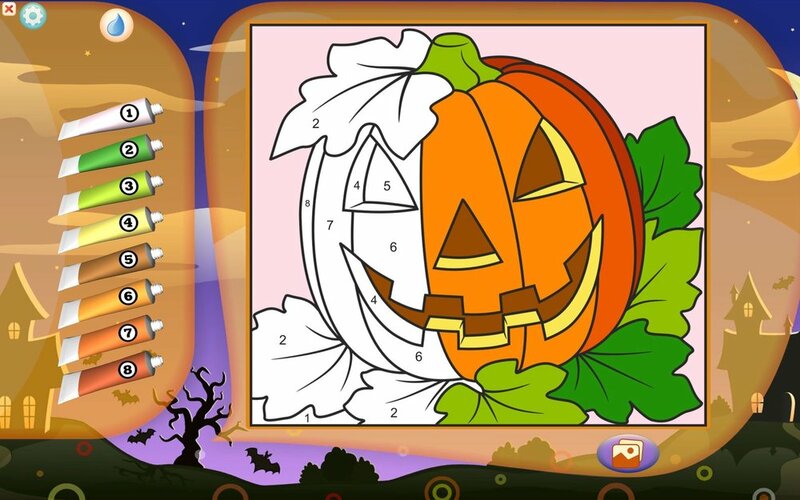 Halloween Patchwork is a game in which you can assembly 120 unique jigsaw puzzles. The puzzles are “made “of six different materials: wood, cloth, glass, paper, precious stones, and metal. Players are tasked with putting together patchwork style puzzles into Halloween characters, a haunted house, a monster, etc. Halloween Patchwork is free, but does tout in-app purchases. Halloween Racer is a free online racing game in which your car appears at the cemetery on Halloween. You must race while avoiding revolving statues, witches on broomsticks, monsters and more. Pumpkin Stacker is a $0.99 game in which you build a tower of jack-o-lanterns to improves the King of Pumpkins. It’s animated with spooky sound effects and scenery. 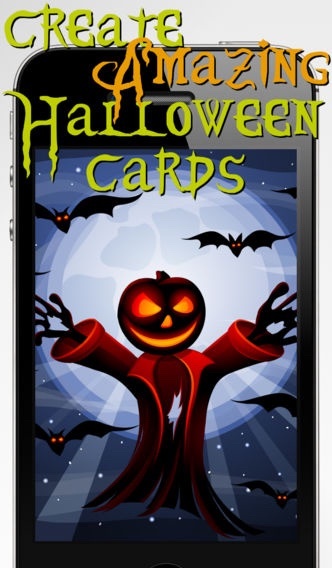 Halloween Card Creator is a free app that lets you use your iPhone, iPad, or iPod touch to create holiday cards. You can customize as much or as little of the card templates as you wish. Halloween Backgrounds & Wallpapers is a free app that offers holiday-themed wallpapers and backgrounds. You can even create your own backgrounds and share them with others. Halloween City is a free app that lets you create and manage your own Halloween City. You can decorate the city with lots of witches, vampires, werewolves, mummies, and of course zombies. You can also crossbreed to get new monsters and try them in the game. Collect coins to unlock more items, and you can take pictures of the city you have created to share them with your friends. Ghostlens is a free app that lets you create a ghostly effect by merging two similar photos of yourself together. It can change the transparency of a photo or video character, allowing you to add “fade in” and fade out” effects. Craftsy is a free app that helps you design your own costume, learn sewing, knitting, crochet, cooking, cake decorating and more. It offers access to a collection of kits and supplies, lots of project ideas, online classes, and more.